TopAct Events presents a unique laugh-out-loud improv comedy experience, where guests will have the chance to participate! 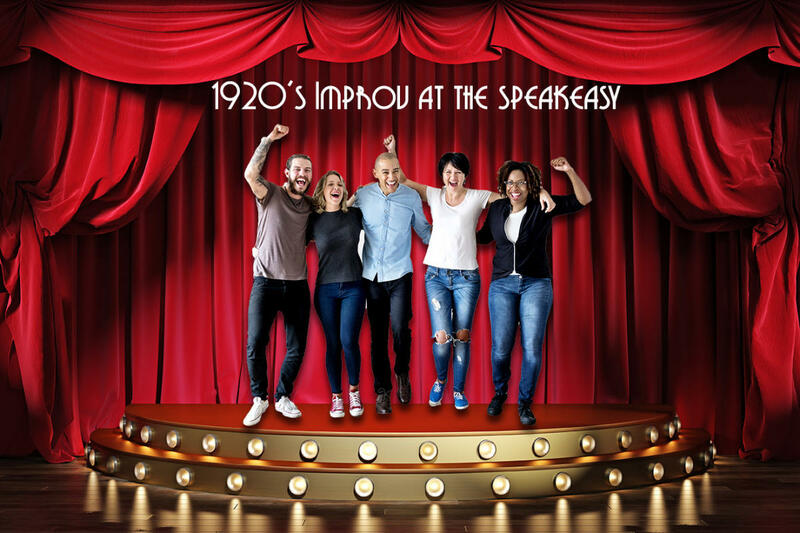 Come join us at Room 13, Old Chicago Inn’s very own Prohibition era-inspired speakeasy, for a night of improv comedy, inspired from the 1920s. This event will take you back to an era filled with flappers, mobsters, darb cocktails, and slang that will make you wonder if bees really have knees! Guests will have the opportunity to play along as we journey into this fascinating era. The resident bartender will be serving up classic cocktails, using recipes and ingredients that hearken from the Jazz Age and earlier. While pouring libations made with the finest ingredients, the bartender also shares knowledge of the history of the cocktail, often with cultural anecdotes that bring the Prohibition era to life.